SPRING SAVINGS FOR A NATURALLY RADIANT COMPLEXION! PHYTOMER reveals the secrets of perfect moisturizing with OLÉOCRÈME Ultra-Moisturizing Body Milk: an ideal combination of the comfort of a cream and the lightness of a body milk. 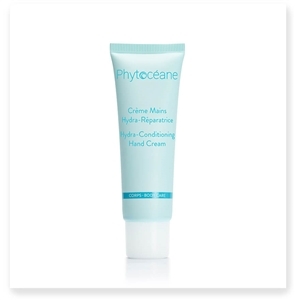 This rich, silky cream with a fresh, citrus scent protects, soothes and softens dry and damaged hands. Integrating a hydrating duo of marine oils, it reveals perfect hands: skin is intensely nourished, moisturized, comforted and better protected from external stress. This cream with extracts of elderberry flower, white water lily and lime flower moisturizes, softens and protects the skin while preventing the appearance of brown marks. 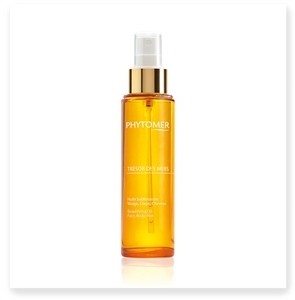 Phytomer's TRESOR DES MERS Ultra-Nourishing Body Cream is enriched with the most precious marine oils. It offers skin an intense source of hydration and reduces signs of aging. Skin is supple, relaxed, and infinitely soft. Day after day, your body looks younger. TRÉSOR DES MERS Beautifying Oil Face, Body, Hair includes five marine and plant oils, to quench, nourish, repair and protect skin and hair. 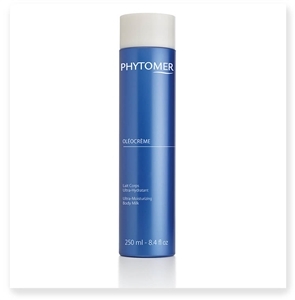 Phytomer's BEAUTIFUL LEGS Blemish Eraser Cream helps to visibly reduce the appearance of small unsightly vein imperfections on the ankles and thighs. Phytomer's OLIGOMER WELL-BEING Strengthening Moisturizing Body Cream contains Phytomer's exclusive active ingredient, Oligomer Liquide.This body lotion moisturizes and softens the skin, fortifying it and restoring its energy. Improves cellular cohesion and the quality of the epidermis. Fleur's Body Delight Oil, a dry and ultra-light body moisturizer, rich in natural oils. Fleur's Aromavedic Body Milk to Oil, this body milk with apricot kernel oil instantly nourishes and soothes skin. Its milky texture transforms into oil to reveal soft, moisturized and delicately scented skin.